I’m going to sneak this one in as the album this track was lifted from was released in 1989 and I had a special request for anything by Fan Club by Ric, a dedicated fan of the blog. Aishah and The Fan Club, better known as The Fan Club or just Fan Club, were a New Zealand-based singing group in the late 1980s and early 1990s. The group released their first album Sensation in 1988, which spawned three top-20 singles in the New Zealand and Malaysian charts, namely “Sensation”, “Paradise” and “Call Me”. Their second album, titled Respect the Beat, also produced three hit singles, including “I Feel Love” and “I Never Gave Up on You”, and the band’s only single to make the US Billboard Hot 100 Charts – “Don’t Let Me Fall Alone”. The remixes for this song were among the most played dance tunes in clubs at the time. 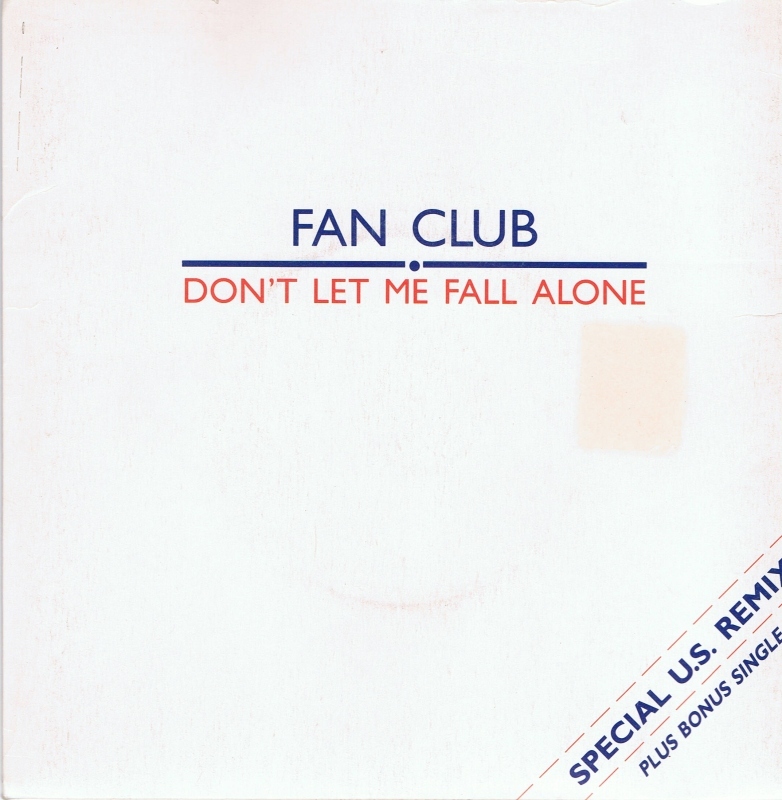 “Don’t Let Me Fall Alone” reached number 28 on the New Zealand Singles Chart in September 1990 and was the band’s only U.S. chart success. This was the group’s last hit single. The group was formed while Wan Aishah binti Wan Ariffin was in New Zealand doing her studies in the late 1980s. She was spotted by the other members of the group, and asked to join the band. Besides Aishah who sang lead vocals, the other members included Paul Moss on guitar and programming, Dave Larsen on drums, Glenn Peters on bass, Malcolm Smith on keyboards, and Hazri Yutim on second keyboard/synthesis. Malcolm and Paul were also the main songwriters for the group. The band won the International Artist of the Year at the 1991 New Zealand Music Awards. Aishah remains popular in Malaysia and has released music in the Malay language. Paul Moss also lives in Malaysia where he has become a judge of reality TV singing competitions, Malaysian Idol and One In A Million. The US 12″ single included three Mark S. Berry mixes.